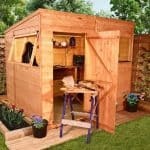 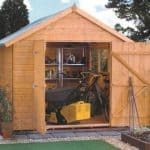 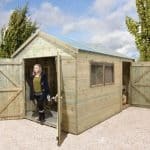 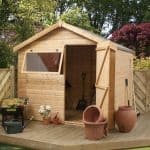 This classic garden shed is crafted from hard wearing and durable wood built to last for years. 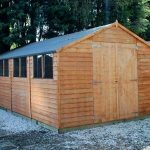 The overlap cladding gives it extra strength and there are plenty of attractive windows giving a bright, airy feel inside. 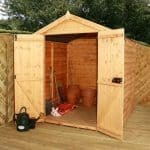 A good sized door allows for ease of transporting large pieces of equipment and with plenty of interior space, it’s the perfect partner for gardeners who need good storage and perhaps want to spend some time pottering around inside. 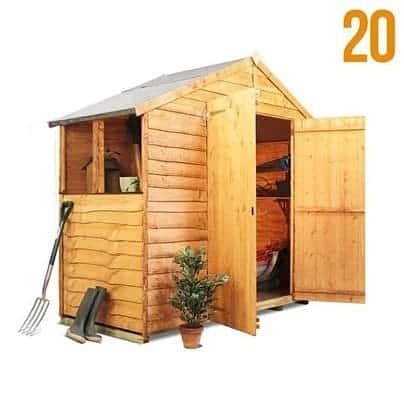 Ideal for mid-sized gardens it is an affordable, popular choice.